There was a time when firearms were outlawed in certain countries, but this didn’t stop people from being curious about them. Rather than allowing people to get in trouble for just touching a weapon of this nature, there was a company that monopolized on it. One of these companies was Tokyo Marui with its line of Airsoft guns. These are weapons that resemble their real life counterparts in nearly every way and down to the finest detail, but rather than firing a deadly bullet they fire a non-lethal BB. 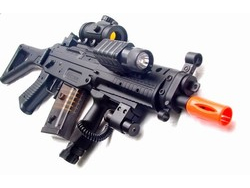 Since the first Airsoft gun was made, they have risen in popularity, continuing today, being sold in many different countries by many different companies. One of the most sought after Airsoft guns made by Tokyo Marui is the FN P90. This is a very powerful and slick looking rifle, which is not only easy to use, it is also ideal for both left and right handed individuals, seeing as the cocking handle can be found on both sides of the firearm. This is a weapon that was originally designed for personnel that could not ideally use long arms. Such people may be tank crews or vehicle drivers. If you think about it a tank crew can’t just pop out of the hatch holding an M-16. Aside from it being powerful and accurate, it also looks great. Though it does have a cocking lever this is purely aesthetic; seeing how the P90 airsoft gun uses an 8.4v battery. Another feature that you will want to pay mind to is the rail on the side that is for mounting a light or laser sight. The light will be great if you are engaging in an Airsoft war of some sort under the cover of night and need to see your way through a dark forest. 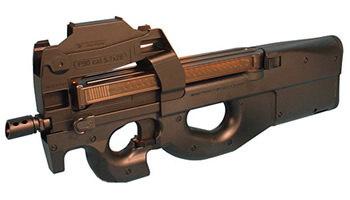 This could also of course draw others to you, so you need to be careful about what exactly you mount on your P90. Users have reported that the Iron Sights work reasonably well and the BBs in the magazines don’t rattle when you walk around. Not only will you be able to shoot extremely accurately, people will have a hard time finding you so long as you employ other stealth tactics, and don’t rely on the silent nature of the weapon that you carry. Now for the big question: How does it hold up? Well, as far as we can tell the P90 airsoft gun from Marui is extremely durable and you won’t have to worry about it falling apart any time soon. Naturally you shouldn’t take it apart unless you have to, but it’s a decent product nonetheless. 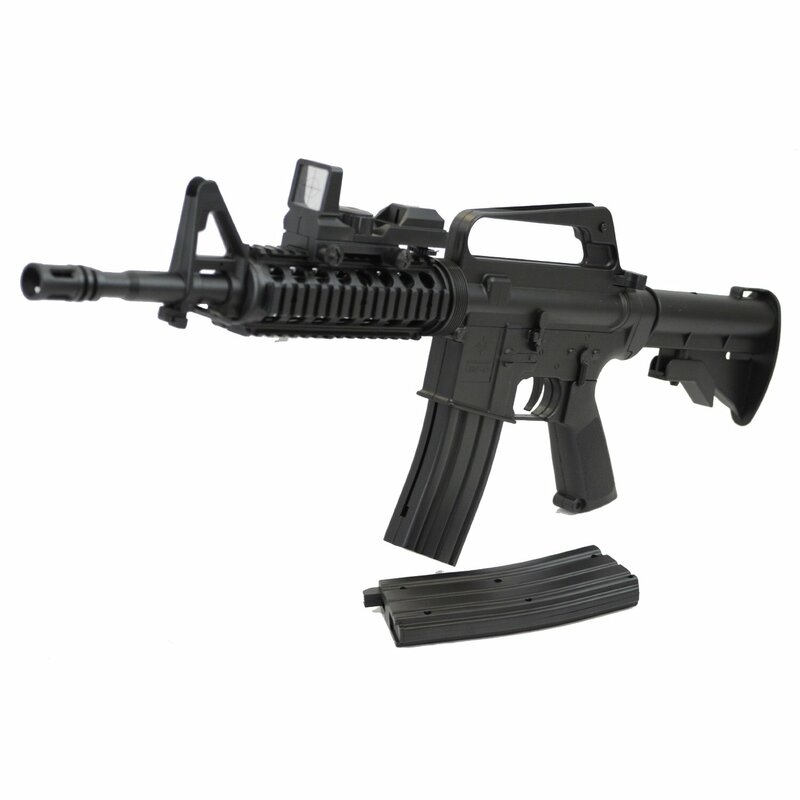 You can enjoy several hours of Airsoft games for years to come without worrying about the state of your firearm. Before you rush out and buy this however, you need to consider whether or not the P90 airsoft gun is in fact for you, since it not a cheap airsoft gun. There are some who would say that it is an uncomfortable gun to hold, and then there are those that would say it is perfect. I would recommend that you find someone who has one, or ask if you can try it out at a store before you commit to buying one. After all, you’re going to be stuck with this weapon for a while, might as well ensure that you like it! Such is the popularity of its guns that the company has its own center for airsoft sport called Tokyo Marui BB Sports Field. Some models may be select fire and most models have an additional grip safety that must be held in order for the pistol to fire with the exception of the Combat Delta models that use the gun s usual grip safety. 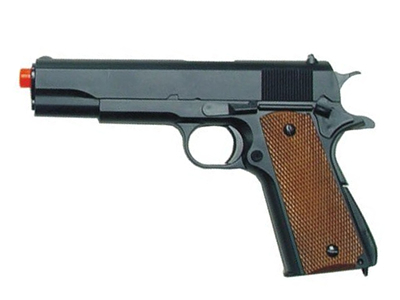 Tokyo Marui makes several replicas that are powered by compressing a spring.